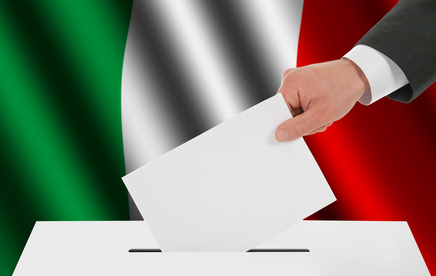 In Italy, the political elections produced no meaningful results. The center-left coalition, led by Mr. Bersani, won by a tiny margin in the Chamber of Deputies but lost in the Senate, due to an impractical electoral system. 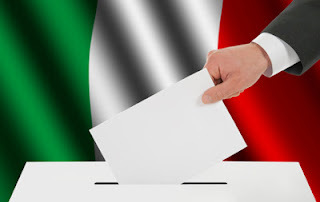 The Italian electorate has instead rewarded Beppe Grillo’s anti-establishment movement, “Cinque Stelle”. Forming a majority will now be a very difficult—although not impossible—task. The other solution is to have new elections with a new electoral law either this year or at the beginning of next. The eurozone, thanks to the ECB’s willingness to buy unlimited bonds, is now in a better shape than it was few years ago. In addition, Monti’s government was able to reduce the budget deficit to 2.9%, better than all the other southern countries, including France. However, market patience is limited. Rating agencies could again slash the Italian credit rating with negative consequences for the economy. Incertitude should support the dollar and penalize stocks in the short term. The S&P 500 index may decline to 1440 and eventually to 1400; the correction should be limited. Economic recovery is underway in some European states. In February, the German jobless rate stayed unchanged at 6.9% after revising up from the January figure of 6.8%. With only 2.92 million unemployed, this rate is the lowest level on record. A struggling eurozone can rely on German growth over the coming months; nonetheless, domestic and foreign demands are expected to increase by the last part of 2013. These should stimulate production and support business investments in the whole eurozone, since Germany imports 38% of its products from other European nations. On March 1, automatic spending cuts became a reality in the US. Republicans and Democrats have chosen a hard stand with their last-minute compromise. All the same, the amount of the cuts—about $42 billion at the end of September, which represents about 0.5% of the Gross Domestic Product over seven months—should not be a challenge to economic growth in the US. On the contrary, the so called “fiscal cliff” would have been roughly 4% of GDP. Sequestrations will only slow down the rate at which money is spent, although some community sectors will be directly hit. March 27 is a more important day. In fact, by the end of the month, Congress will be asked to vote to keep the government financially supported until the end of the current fiscal year—otherwise, part of the federal government will have to close down. Mr. Bernanke said the Fed will keep current policy unchanged for longer. He also added that fiscal policy is essential in helping the economy. Despite the struggle between Democrats and Republicans, economic growth is moving again in the US. In the fourth quarter of last year, private domestic demand grew 3.5% annualized and housing data had confirmed the recovery was underway. According to the S&P/Case-Shiller Index, housing prices for the twenty largest metropolitan cities had grown almost 7% year on year in December.